March 20, 2019 is National Day of Happiness. What is happiness? Aristotle’s definition of happiness is “Happiness depends on ourselves.” I tend to agree with this definition as I believe that happiness is not one thing but many things and it’s different for each person. 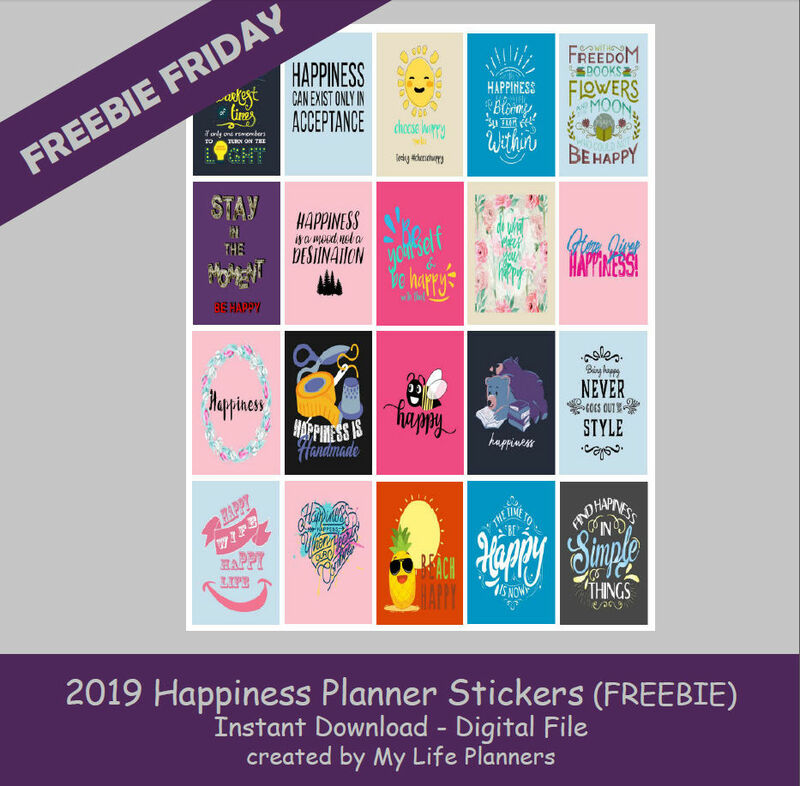 In honor of National Day of Happiness, this week’s feature for Freebie Friday is obviously happiness. Let’s add some happiness to our planners.